Winter is in full swing and while the shortest of its days are behind us, many more lie ahead. Driving in the dark always has its perils but on winter days, people spend even more time driving in the dark. 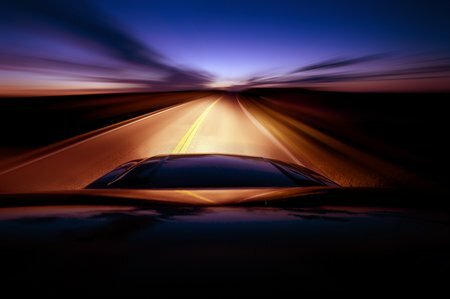 Depth perception, color recognition, and peripheral vision are all compromised when driving at night. Even with well-lit roads, visibility at night is more difficult than during daylight. In rural areas, night time driving is even more challenging with long stretches of road that are often insufficiently lit. In addition to visibility issues, night driving has additional challenges. Fatigue becomes more common in the dark and dulls concentration and slows reaction time. Crashes are more common at night with a disproportionate number of fatal accidents happening after dark. The National Safety Council (NSC) calls driving in the dark “the most dangerous time to drive,” listing additional factors such as rush hour driving, impaired driving, and particularly poor vision for elderly drivers. With the many added concerns of night time roadways, effective traffic calming becomes more imperative than ever to protect drivers and pedestrians from accidents and injuries. Safer night roads begin with well-engineered roads that are designed to protect motorists, pedestrians, and cyclists and keep traffic moving at a safe pace. One of the most important ways to implement safety is to improve visibility and keep drivers alert. At Traffic Logix, our solutions are manufactured to do just that. Our SafePace signs are equipped with highly visible leds, flashing lights, and driver-responsive messaging to keep drivers alert and focused on the roads. All of our rubber traffic calming solutions are molded with highly reflective highway tape for improved nighttime visibility.